The main interest of Dr. Son is to address relevant questions and make significant contributions to the understanding of lupus and autoimmune disease, as well as to the development of effective therapies. In addition, she would like to bring her expertise and enthusiasm to guide young scientists. Dr. Son pursued her PhD at Ewha Womans University in Seoul, Korea where she carried out studies of T-cell homeostasis as well as peripheral T cell tolerance. Dr. Son identified a novel gene, LIME, and characterized its function in T cells in vitro and in vivo in the lab of Dr. Yungdae Yun of the Division of Life Science. After receiving her PhD degree, Dr. Son remained in the Dr. Yun’s lab to continue her research as a Post-doctoral research fellow. After two years, she was promoted to Research Professor. During that time, Dr. Son focused on designing a peptide fragment of LIME capable of inducing activation induced cell death in an animal model of autoimmune disease. She had the opportunity to mentor and instruct several graduate students and entry-level research scientists in the laboratory setting. Dr. Son’s previous work led her to an interest in translational research areas. She, therefore, moved to the Feinstein Institutes for Medical Research, which is a research institute with a strong focus on autoimmune diseases and lupus. In Dr. Betty Diamond’s laboratory, her research has focused on an important pathogenic pathway in lupus, the role of complement C1q in regulating myeloid cell differentiation and function. She has intra and extramural collaborations to develop C1q-based therapeutic opportunities to block HMGB1 in the pathogenesis of lupus. Systemic lupus erythematosus (SLE) is a prototypic autoimmune disease characterized by the loss of immune tolerance. An immunosuppressive role for C1q is supported by the high percentage of C1q-deficient individuals who develop SLE. Dr. Son and her Feinstein collaborators Dr. Betty Diamond, Dr. Frances Santiago-Schwarz and Dr. Yousef Al-Abed have shown that C1q is a functional ligand for Leukocyte-associated Ig-like receptor-1 (LAIR-1), which is known as a universal collagen receptor. They have further shown that C1q promotes tolerance by inhibition of monocyte to DC differentiation and pDC activation through engagement of LAIR-1. This discovery has a high impact on the lupus field, because these findings elucidate the mechanism by which C1q regulates tolerance and prevents autoimmune diseases, such as lupus. 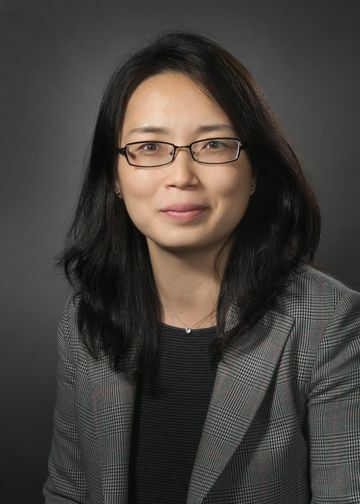 Dr. Son’s research plan focuses on further defining the function of LAIR-1 and manipulating LAIR-1 for down-regulation of myeloid cells to ameliorate the severity of SLE. This topic is of broad interest to researchers studying tolerance mechanisms of innate immunity and inflammation. Dr. Son is also interested in the regulation of High-mobility group box-1 (HMGB1)-mediated inflammation in myeloid cells. Dr. Son and her collaborators Dr. Diamond and Dr. Kevin Tracey, will pursue the function of HMGB1 in the absence or presence of C1q in SLE. Dr. Son’s overall goal is to develop a C1q-based potential immune-modulator for lupus therapy. Dr. Son also collaborates with Dr. Yong-Rui Zou to investigative the function of C1q on hematopoietic stem cells. G. Franchin, M. Son, SJ Kim, I Ben-Zvi, J Zhang and B. Diamond (2013) Anti-DNA antibodies cross-react with C1q. J. of Autoimmunity 44; 34–39.